Everything is on as scheduled for King of America IX powered by Summit and Battle at The Bullring V. Racing starts at 6 p.m. with an alphabet soup of main events on tap. A top prize of $8,500 awaits the B-Mod winner and a cool $12,500 up for grabs in the USMTS Modified finale. After two nights of incredible heart-stopping USMTS qualifying races at the Humboldt Speedway on Thursday and Friday, the fields are set for Saturday’s main events. Two-time USMTS national champion Ryan Gustin will be seeking his third King of America crown from the pole while last year’s USMTS Grant Junghans Rookie of the Year, Jake O’Neil, will take the green flag from the outside of the front row. Row 1 – 19R Ryan Gustin, Marshalltown, Iowa | 0 Jake O Neil, Tucson, Ariz.
Row 2 – 20 Rodney Sanders, Happy, Texas | 2GK Kyle Strickler, Mooresville, N.C.
Row 3 – 20RT Ricky Thornton Jr., Chandler, Ariz. | 12 Jason Hughes, Salina, Okla.
Row 5 – 62 Hunter Marriott, Brookfield, Mo. | 69 Lucas Schott, Chatfield, Minn.
Row 6 – 21X Travis Saurer, Elizabeth, Minn. | 2X Brady Gerdes, Villard, Minn.
Row 1 – 4W Tyler Wolff, Fayetteville, Ark. | 37 Kelly Estey, Kelly Lake, Minn.
Row 2 – 65 Tyler Davis, Haysville, Kan. | 90 Steve Wetzstein, West Concord, Minn.
Row 3 – 96M Mike McKinney, Plainfield, Ill. | 99 Josh Angst, Winona, Minn.
Row 4 – 91 Joe Duvall, Claremore, Okla. | 16S Chad Lyle, Oak Grove, Mo. Row 5 – 87 Darron Fuqua, Mayetta, Kan. | 52 Jason Thoennes, Garfield, Minn.
Row 6 – 49JR Jake Timm, Winona, Minn. | 44T Tanner Black, Otis, Kan.
Row 1 – 02 Tanner Mullens, Wichita, Kan. | 26 Shawn Fletcher, Brainerd, Minn.
Row 3 – 36 Kenny Wallace, St. Louis, Mo. | 1K Tim Karrick, Basehor, Kan.
Row 4 – 65X Carlos Ahumada Jr., El Paso, Texas | 71C Jason Cummins, New Richland, Minn.
Row 5 – 19 Dustin Sorensen, Rochester, Minn. | 88 Randy Klein, Lisbon, S.D. Row 6 – 38C Jason Pursley, Hermitage, Mo. | 16 Austin Siebert, Grandview, Mo. Row 1 – 49J Jason Murray, New Hartford, Iowa | 111 Bumper Jones, Mesilla Park, N.M.
Row 2 – 75T Tad Davis, Mount Hope, Kan. | 23 Adam Kates, Tonganoxie, Kan.
Row 3 – 07 Cory Crapser, Chippewa Falls, Wis. | 44 Adam Hensel, Baldwin, Wis.
Row 4 – 20A Trevor Anderson, Watertown, S.D. | 18JR Chase Sigg, Iola, Kan.
Row 5 – 32Y Jesse Young, Warner, S.D. | 50 Aaron Holtan, Newfolden, Minn.
Row 6 – 71 Jim Body, Diamond, Mo. | 21 Jacob Bleess, Chatfield, Minn.
Row 7 – 8C Richard Mueller, Jackson, Wyo. | 55 Nathan Hagar, Adair, Okla.
Row 8 – 15 Dale Proctor, Hector, Ark. | 61 Logan Rogers, Freeport, Ill.
Row 9 – 32 D.J. 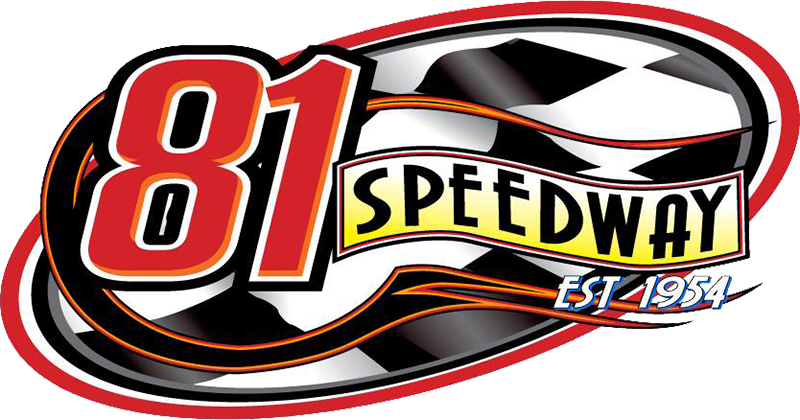 Shannon, Merced, Calif. | 144 Ethan Dotson, Bakersfield, Calif.
Row 1 – 9D8 Paden Phillips, Chanute, Kan. | 89 A.J. Diemel, Elk Mound, Wis.
Row 2 – 42 Paul Niznik, Medford, Wis. | 1M Curt Myers, Cameron, Wis.
Row 3 – 22H Dustin Hodges, Centralia, Mo. | 292 Kyle Thompson, Joplin, Mo. Row 4 – 34 Noah Daspit, Kiln, Miss. | 30 Matt Leer, Bruce, Wis.
Row 5 – 75 Terry Phillips, Springfield, Mo. | 24H Mike Harrison, Highland, Ill.
Row 6 – 25 Scott Green, Derby, Kan. | 17 Mike Striegel, Hermitage, Mo. Row 7 – 40W Jessy Willard, Mound City, Kan. | 26G Ryan Gierke, Villard, Minn.
Row 8 – 13X McKenzie Gerdes, Alexandria, Minn. | 7 Willie Gammill, Siloam Springs, Ark. Row 9 – 3 Arne Anderson, Watertown, S.D. | 2 Brandon Givens, Hutchinson, Kan.